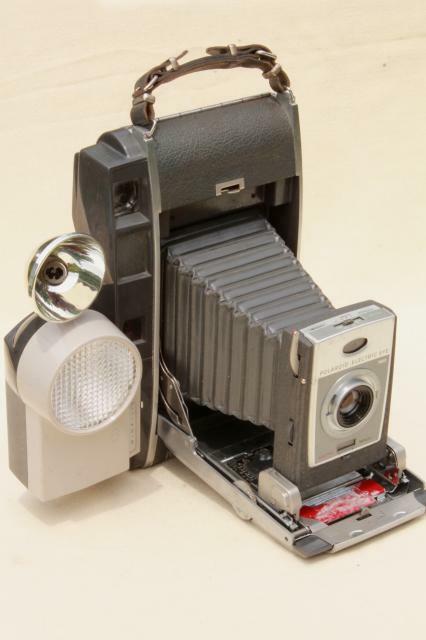 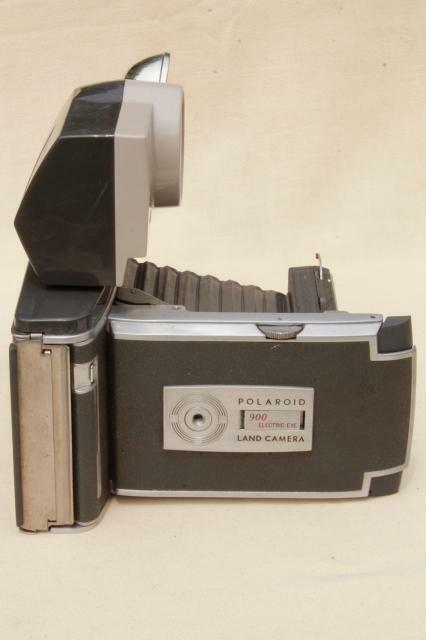 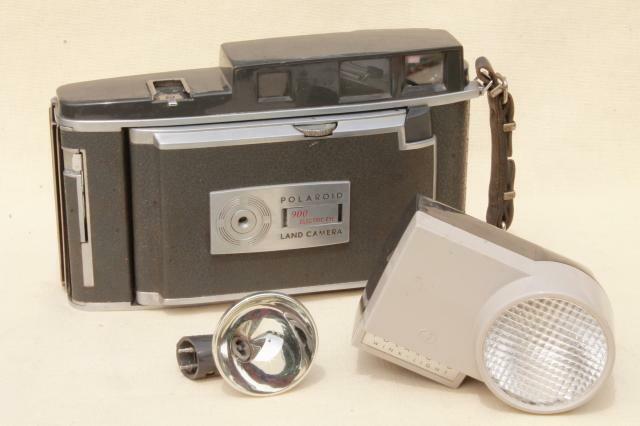 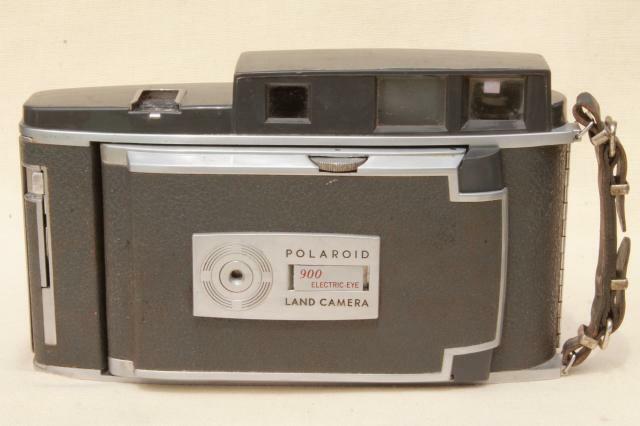 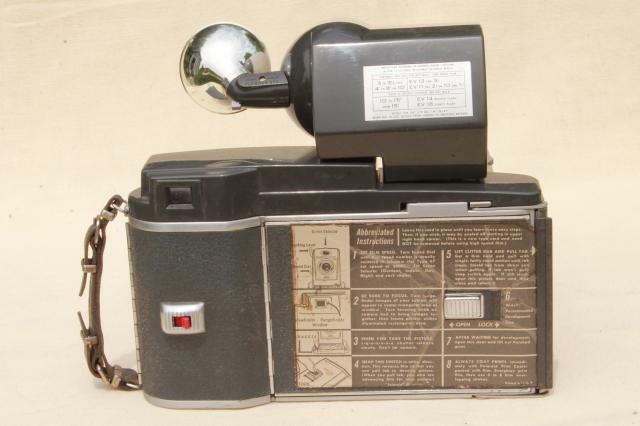 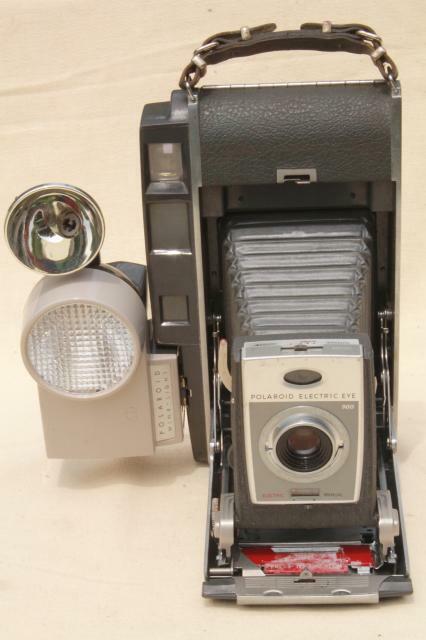 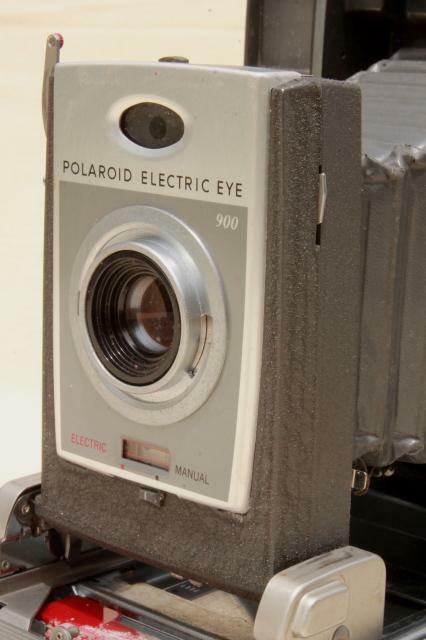 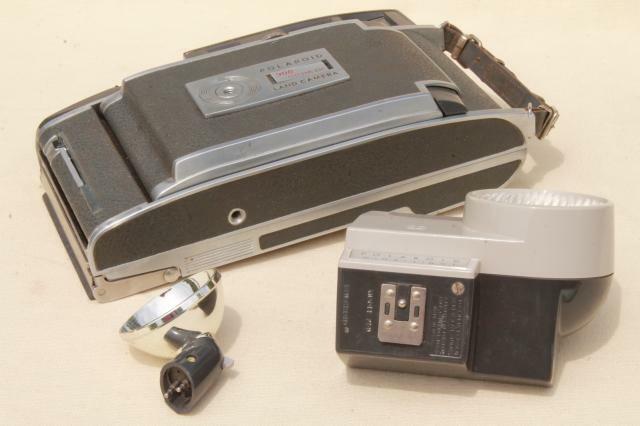 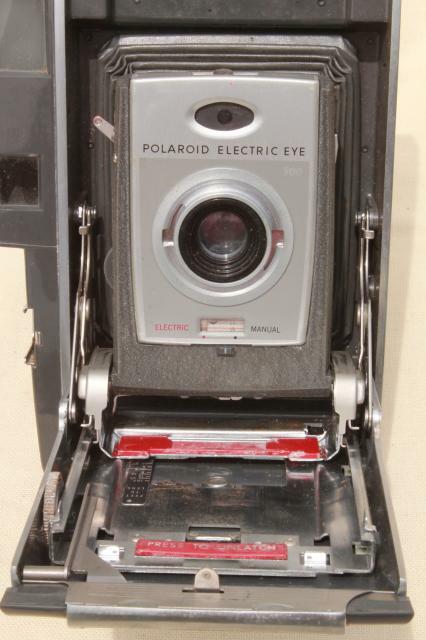 Mid century vintage Polaroid Electric Eye 900 camera from the early 60s with flash attachments as shown. 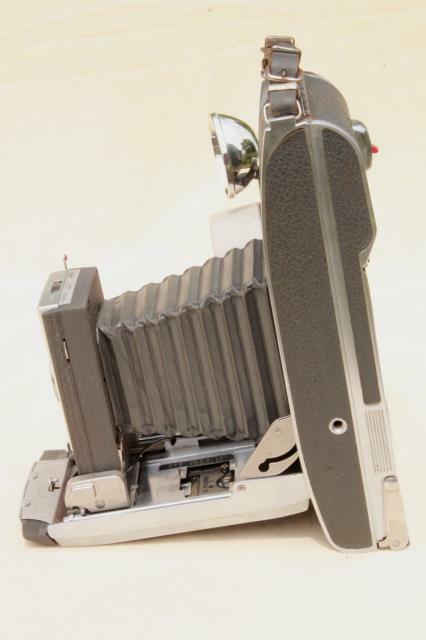 This camera has a threaded tripod mount on the underside. 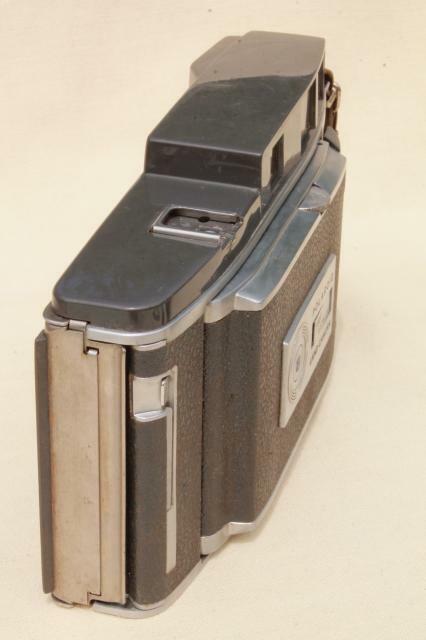 We haven't tested this camera and are selling it as a photo prop or parts as it does have some flaking and peeling to the paint inside the film compartment door and there's a little minor peeling to the leatherette in a couple of spots.